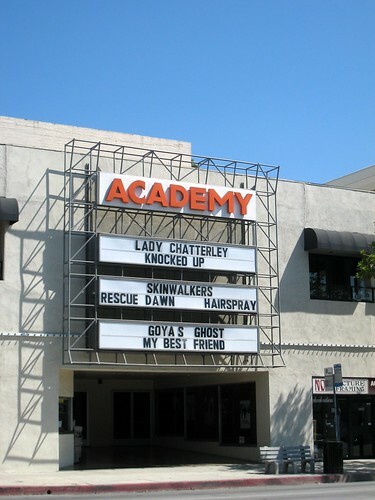 Now playing at the Academy 6. That’s so funny. I saw that marque and I wanted a picture. It cracks me up. 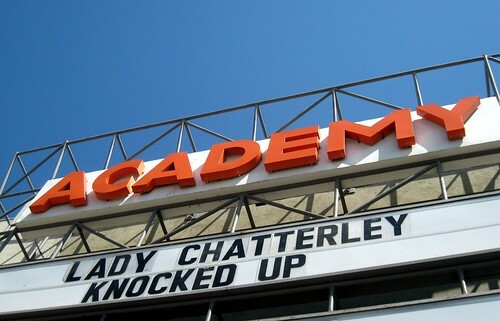 Good thing they weren’t showing “The Queen” and “Knocked Up”. P.S. Jill – could you e-mail me a list of restaurants in Pasadena you’d think would hold a party of 60 for lunch that have a pretty diverse menu? Your picnic is like a block from Bogaard’s house. I remember when the Academy was one of the great old theaters like the Rialto.